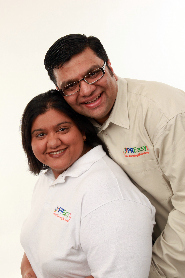 PR Eas y was founded by husband and wife team, Janak and Urvi Mehta, to leverage the power of the online marketing to grow small and mid-sized businesses. Janak and Urvi saw that business owners were struggling to implement smart online strategies, including search engine optimization (SEO), search marketing (PPC) and social media marketing. Born and bred techies, the Mehtas experienced the power of online marketing firsthand when they grew a national multi-million dollar real estate investment business, while still holding day jobs. They knew they had to share their powerful systems to help fellow business owners grow their revenue. PReasy.com is a full service online marketing company providing training, consulting and done-for-you online marketing services, including social media marketing, search engine optimization, search engine marketing, email marketing and web design to small and medium size enterprises across the US, Canada and Australia. PR Easy clients typically experience a 30% to 90% increase in website traffic during the first 90 days. PR Easy also launched the largest social media network in the state of Michigan, Social Media Michigan. Social Media Michigan is committed to helping Michigan-based business owners to remove geographic boundaries in their business and to grow into global powerhouses.